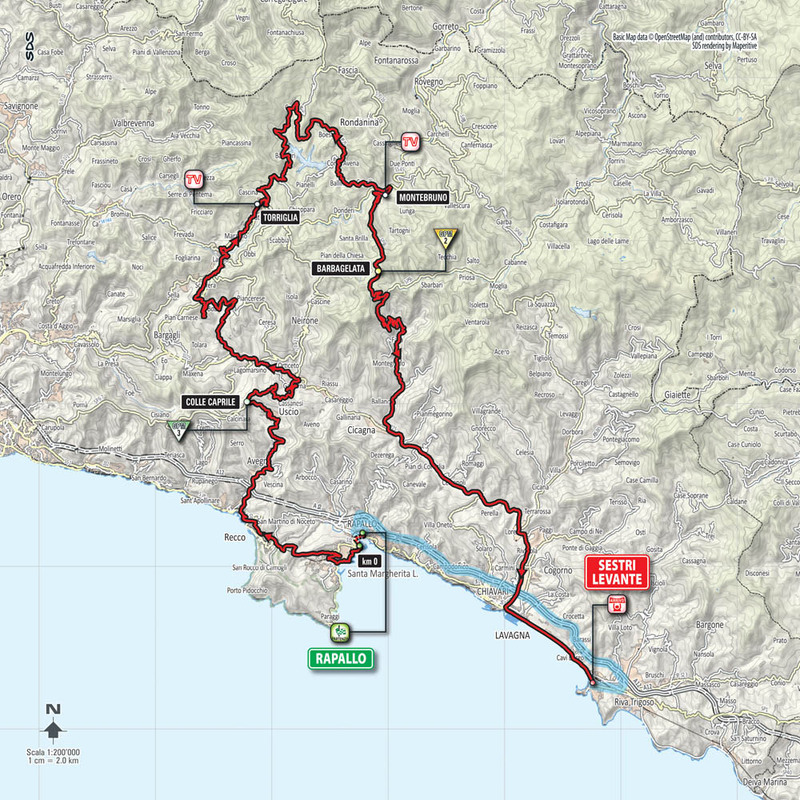 Another day in the Liguria region sees the peloton head inland from the start in Rapallo, before returning again to the coast for the finish at the town of Sestri Levante. Wouter Weylandt crashed on the stage to Rapallo in 2011 and died. 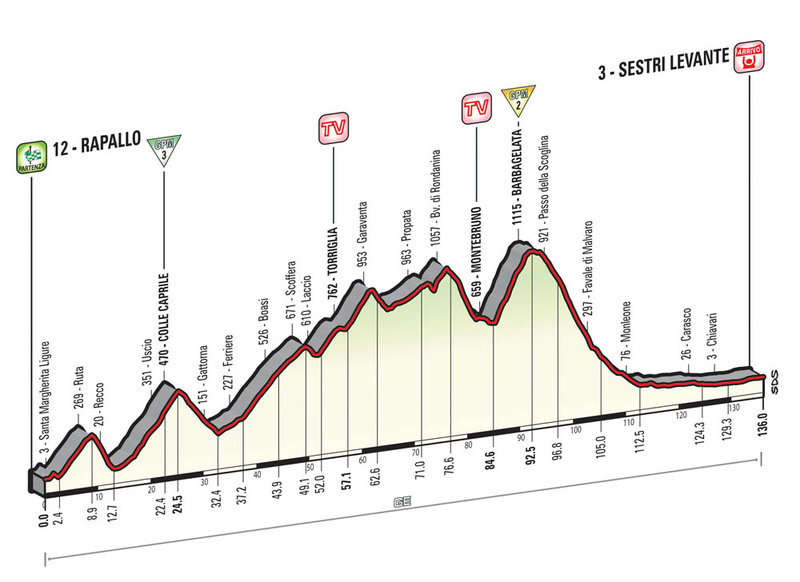 One of the attributes that distinguishes the Giro from the Tour is the presence of difficult hilly stages like this in the first week. Before the riders have even had a chance to acclimatise themselves to the flat stages, they’re whisked off into the undulating parcours of stage three, with two moderate, categorised climbs included in the form of the Colle Caprile and the Barbagelata. But there’s something unique in the rendering of this stage compared with the usual Giro formula. Whereas hilly first-week stages often only amount to a short, sharp hill at the finish to favour climbing sprinters like Peter Sagan, the 8.7km, 5.2 per cent averaging Barbagelata is crested with just under 50km to go, and is immediately followed by a long descent that would help any hopeful attacks stick. The 25km run-in from the bottom of this descent to the finish would usually be enough to discourage any such attacks, but the length of this stage is so short — just 136km, the equal shortest in the race — that a puncheur or even a GC rider might just have fresh enough legs to try something bold.